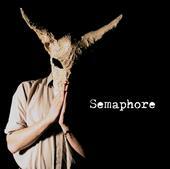 Seeing as I have been trawling bands that I bumped into a couple of years ago it is well worth mentioning Semaphore. Back in 2005/6 or so they were knocking out some tracks like Morphine and Princess in Chains from an initial EP that I had to write to the band to get – I seem to recall a connection with My Sad Captains but I don’t remember too well. Then it was swirling waves of sound but with that distinctive voice of Louis Brennan. The then five piece band collapsed obviously amid personal falling outs. The collapse happened just before a planned tour that had to be abandoned save a last gig at the Camden Barfly with the three remaining members, Louis Brennan, Marco Ryan Testa and Loris Barbisan. The three hung together and found a new voice for the band, stripped back and frankly a bit more assured, or at least comfortable with themselves. Brennan’s voice sounds like he has seen more than his tender years would suggest – with flavours of Leonard Cohen at time, Johnny Cash at others and a hint of Matt Berninger. Songs of love and loss, pain and anguish. They have an eponyous album released, part rock, part folk and part americana and well worth a listen – they have come a long way from those early tracks of three years ago. Available through CD Baby it is also available through iTunes and presumably something more local shortly, it is also streamed through their web site. This entry was posted in Uncategorized and tagged Semaphore. Bookmark the permalink.